Lower Yellowstone Falls and the Grand Canyon of the Yellowstone from 2,000,feet above. 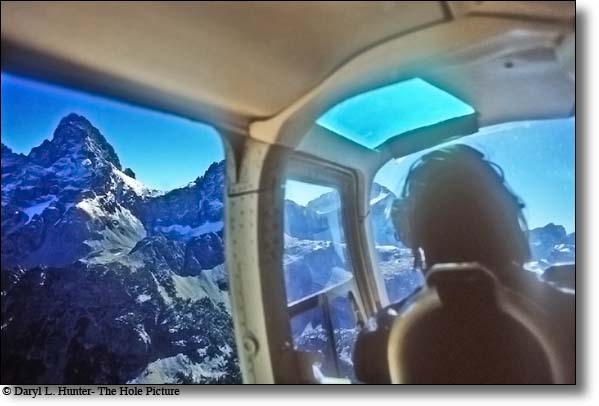 Flying over the Grand Tetons you are treated to views of the Cathedral Group, Grand Targhee, Teton Village, Table Mountain and Mount Moran, over it's a spectacular way to view the mountains and great for those special photographs. Jackson Hole, home of the Grand Tetons is considered one of the most beautiful areas in North America and few would disagree. You will see Jackson Hole and it's mountains, rivers and valleys from the Bald Eagle's point of view. 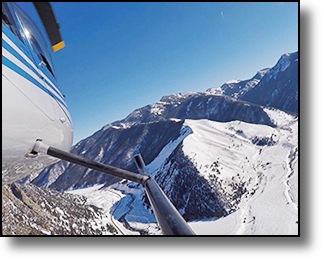 See more of Jackson Hole or Yellowstone in one hour from the air than you could see in a lifetime on the ground, and get a whole new perspective on Jackson Hole, it's beauty and wilderness. From the air you will see in an entirely new dimension what makes Grand Teton Park, Jackson Hole and Yellowstone National Park such a magnificent area! The FAA and National Park regulations do not allow low altitude scenic flights operated over either park and aircraft must stay 2,000 feet above the ground, However you will see the entire Grand Teton National Park from above outside park boundaries, the Grand Tetons at eye level, and the regions mountains, rivers and wilderness as your pilot customizes your flight. The goal at Rocky Mountain Rotors Flight School is to train the individual to the highest quality and safest pilots in the air. Whether the goal is simply a private license or all the way through CFII, Rocky Mountain Rotors can put your new office 500 ft. above the ground with a panoramic window view. Our instructors are dedicated people with a passion for rotorcraft flight and a commitment to the highest standards in aviation instruction. 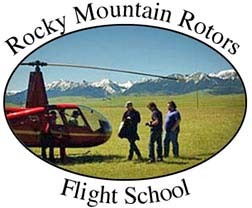 Rocky Mountain Rotors • Rocky Mountain Rotors is your best choice for air tours and photo flights for breathtaking scenery in and around the Gallatin Valley, or we can come to you wherever you are enjoying your time in the gorgeous Great Northwest. We offer clean comfortable helicopters and safe friendly pilots with extensive knowledge of the Greater Yellowstone Ecosystem. Movie / Film / Air taxi / Charter / Search and Rescue available. FAA Part 135 and 133 operator. Yellowstone Helicopters scenic flights and tours • Operating out of West Yellowstone we offer the best value scenic flights in the region starting a just $69 per person. Explore Yellowstone’s outback today with value scenic flights over 10,000 foot snow capped mountain peaks and explore exciting helicopter adventures through America’s West. Family friendly operations and bus charter friendly as well. 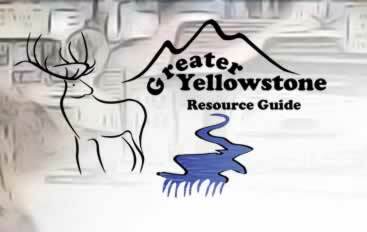 Experience the ultimate Yellowstone experience today with Yellowstone Helicopters. Let’s fly! Soaring above Yellowstone and Grand Teton Parks sure gives you a different perspective from the way most people see it. 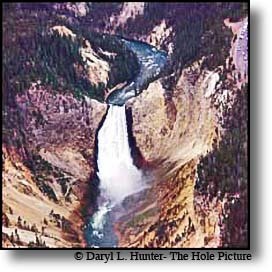 My first trip to Yellowstone in 1986 started by a quick preview of Yellowstone National Park with a scenic flight over Yellowstone I chartered in West Yellowstone Montana. In a couple of hours, I had a quick overview of the lay of the land and what was in it. I saw thousands of bison, dozens of geyser basins, beautiful giant hot pools, and a plethora of gorgeous waterfalls. I then proceed by car to check out by land what I found so quickly by air. 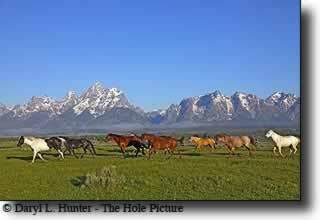 In Jackson Hole Wyoming I chartered a helicopter to photograph the Grand Tetons and what a ride it was. The Pilot, Roger Keirstead, removed the door so I could shoot in an unobstructed manor that added to the thrill. To see giant peaks like that up close and personal was something I will remember to my dying day. From high above Yellowstone and Grand Teton National parks you see more than just the amenities of the Parks, you also see majestic mountain ranges in every direction. To the Northeast, you see the massive escarpment which is the Absaroka Mountains. To the north, you can see the spires of the Beartooth Range. West of Yellowstone and Grand Tetons you can see the centennial Range of southern Montana and Island Park Idaho and Teton Valley’s Big Hole Range as well as the potato land of eastern Idaho. To the south you see the Snake River Range, the Wyoming Range, The Salt River Range. To the East, you see The Gros Ventre Range and off in the distance you see the Wind River Range the tallest range in Wyoming. While flying here you are looking down on the crown of the continent and its continental divide. 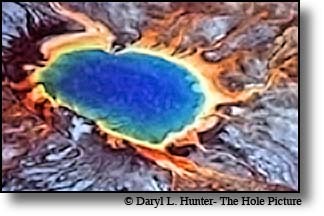 The water of the southwest part of Yellowstone goes to the Pacific Ocean, and the waters to the north and northwest go to the Atlantic. Some say you miss a lot when you travel so high and so fast, I disagree. 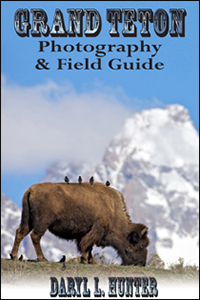 You see much, much it just isn’t in great detail that is why I return time and again to Yellowstone and Grand Teton Parks, it is my job as publisher of the Greater Yellowstone Resource Guide and no matter how often I go, I will never complete the job because there is so dang much there I will never see it all. By air, by land, by lake, and river, the Greater Yellowstone Eco-system is truly a sight to behold.